Caen will host Strasbourg at the Stade Michel-d’Omano in another early afternoon kick-off. After a loss to Montpellier in round 22, Caen won a penalty shootout against Bastia to reach the next round of the French Cup. But, only a few days later, they lost to Amiens in the league. In fact, they are yet to win in the league in 2019. Even though they are playing at home, that doesn’t seem to be an advantage, since they only won twice in the last 19 home games. Before losing to Angers in the last round, Strasbourg were on a decent four-game winning streak, scoring ten goals and conceding only two. Caen should be worried since the visitors have only lost once in their last seven away games. 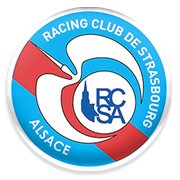 There is a lot to play for and Strasbourg might end up fourth in the table after this round if the other results go their way. We predict an away win.